Have Information about Foreign Aid Fraud? Learn How USAID Whistleblowers Can Qualify for Huge Cash Rewards. The U.S. foreign aid program is a mess. We build hospitals in Pakistan that are unfit for occupancy… we spent tens of billions of dollars to build homes in earthquake ravaged Haiti yet only 9,000 were built. [That means at a cost to taxpayers of over $1 million per house!] And we built an LNG filling station for motorists in war torn Afghanistan…. except there the Afghanis have no cars that run on LNG. So what now? This time USAID is apparently using our tax dollars to feed terrorists in Syria. Sometimes it is government policies run amok. But with disaster aid monies, it is more often greedy contractors just looking to make a quick buck. Advancing a free and peaceful world? Not in Syria. Feeding al Qaeda probably doesn’t count. According to a recent report form the USAID Inspector General, a USAID partner passed out food to “ineligible beneficiaries.” That is a government euphemism for Hay’at Tahrir al-Sham, a U.S.-designated terrorist organization and al Qaeda affiliate. Although the U.S. doesn’t have a huge troop presence in Syria, the Department of Defense estimates we have a current troop contingent of 2000 fighting men and women there. Yet third party vendors are supplying aid to terrorists. Enemies sworn to killing us. Can anything be done? It is certainly hard to police vendors in a war zone. But the U.S. Agency for International Development, the Department of Defense and several other agencies have inspector generals’ whose sole mission is to ferret out fraud. The problem is knowing where to look. Since 2012, USAID has poured billions of dollars of humanitarian relief into Syria and Iraq. The agency said it relied on private vendors to deliver and administer $2.6 billion of that relief since January 2012. This where USAID whistleblowers can be of huge assistance. The federal False Claims Act pays cash rewards to whistleblowers with inside information about fraud involving federally funded programs. By helping the government, whistleblowers help save tax dollars, fight corruption and greed, help the truly needy get the help and assistance they need. And they can get paid for doing that. If you have inside information about fraud in our aid programs, you may be entitled to a reward. It is that simple. 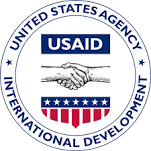 Awards are not limited to USAID fraud cases, they can be paid for almost any misuse of government funds… State Department, Defense Department, etc. Our ideal USAID whistleblowers are people working inside one of the agency’s vendors or relief organizations. There is no requirement that the would-be whistleblower be a U.S. citizen or green card holder, either. In fact, some of the best foreign aid whistleblowers are foreign. Claiming an award means filing a sealed lawsuit in federal court. The case remains secret while being investigated by the government. That gives whistleblowers time to find new employment. After the investigation – typically a year – the government can take over the case, allow your lawyer to prosecute or claim the case should be dismissed. Assuming the case goes forward, you as the whistleblower are entitled to receive between 15% and 30% of whatever is collected from the wrongdoer. With triple damages and high penalties, awards are often in the millions. Obviously, each case is unique. The percentage awards are lower in cases where the wrongdoer settles directly with the government and higher where the whistleblower’s lawyer must prosecute the case to conclusion. or by phone at 202-800-9791. All inquiries are kept strictly confidential and protected by the attorney – client privilege.